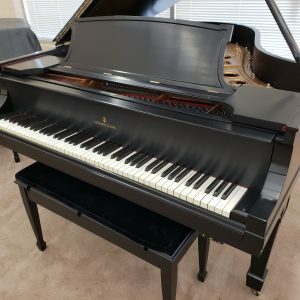 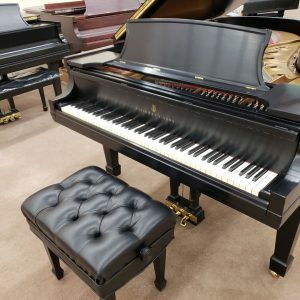 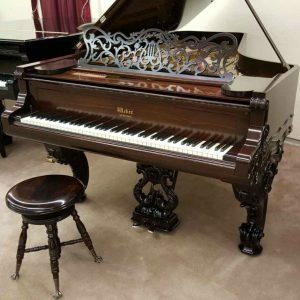 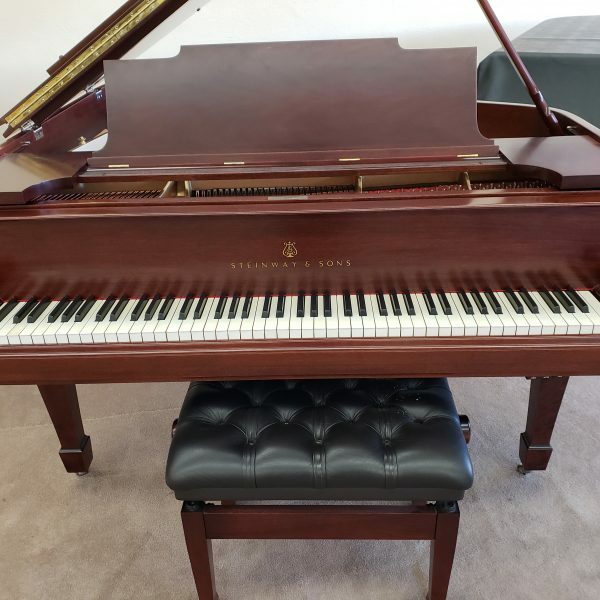 An exquisite rebuild of this classic instrument was completed about 5 years ago by us and due to the current owner downsizing, they have decided to make this beautiful piano available again. 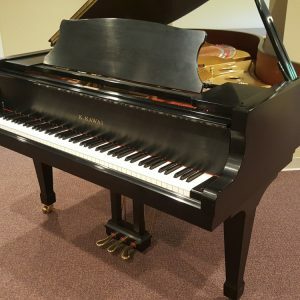 We basically gave it a new life by manufacturing and replacing the soundboard with Adirondack Spruce, installing a new maple pin block, new Mapes piano strings, new tuning pins, new replacement Abel hammers-shanks & flanges, new Abel whippens/repetition levers, original ivory key tops and new key bushings, accented with nickel hardware and includes an adjustable bench make this a treasure for any home. 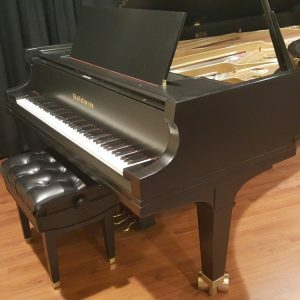 The piano plays effortlessly and has a sweet tone. 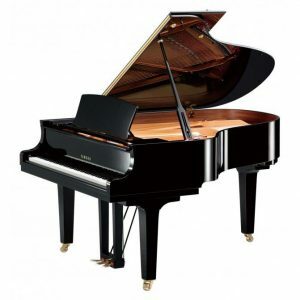 It includes a complete Piano Life Saver System and warranty. 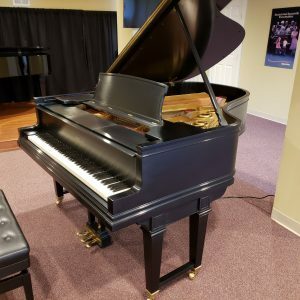 Come by our Weaverville location to play this restored classic.